Multistep money problems in Rolls' Restaurant! We have been planning family meals using lots of mathematical skills, including estimating, adding, subtracting and dividing. Multistep word problems in Rolls' Restaurant! 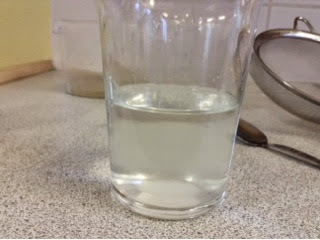 Today 5Poplar began the investigation of "Does the size of the container affect the amount of water which is evaporated?" 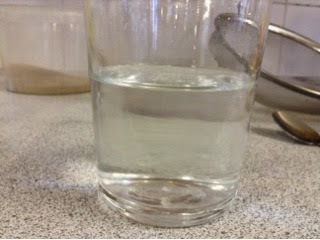 Each container has the same amount of water in (100ml). In three days the groups will measure the amount of water that has evaporated to see whether their prediction was correct or not. Which container do you think will lose the most amount of water and why? 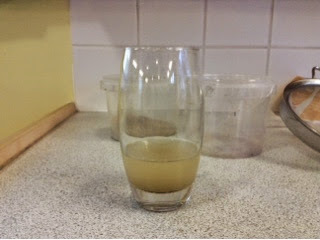 Today 5 Poplar investigated separating different materials by sieving and filtering. Here are some pictures of what they got up to! Do YOU know the difference between filtering and sieving? Look at these groovy moves! This week 5 Poplar have been investigating converting metric and imperial units! Here are some more pictures of the class using scales, rulers and measuring jugs to help them! Science this week saw us trying to work out how to separate different materials. 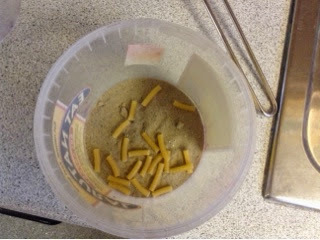 First we had sand and Pasta. 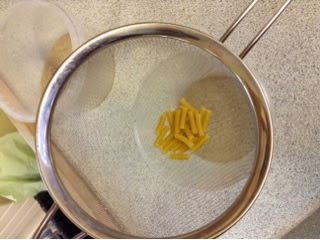 For this we needed a sieve. Then we had sand and water. 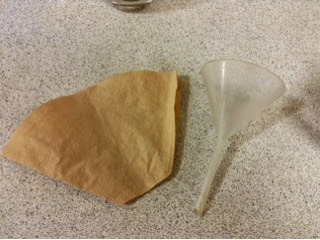 For this we used filter paper. Finally, we put sugar into water. 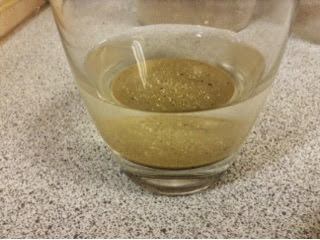 When we mixed the solution the sugar disappeared- it dissolved. We have left our sugar solution to see what happens over time. Maths - Converting Metric to Imperial units! Here are some pictures of year 5 working in pairs trying to solve different questions stuck around the room involving converting metric and imperial measurements! Ryan used long multiplication for the first time today! Look at this fantastic sum he has managed to solve by himself! Well done Ryan, keep up the hard work! This half term, Year 5 have got a fun - filled adventure awaiting them! · Exploring Phonics and letter patterns in words. · Adapting a Myth into a play script. Finding out all about the Anglo- Saxons: where they came from, how they lived and how they have influenced our lives today. Looking on maps at countries in Europe in the 8th century and how they differ from today. Having dance every Tuesday afternoon working on balances. Having Football every Friday afternoon. Thinking about whether Sikh stories are important today. Learning about Algorithms: writing our own and debugging ones that already exist. Looking at what attributes make an effective learner. Recognising and celebrating our own achievement. Applying what we have learnt. Learning new vocabulary for items in the classroom and describing their position. A quick reminder that games is on Friday. This half term we are learning about Football. Please make sure you have jogging bottoms and a sweatshirt as the weather is cold as well as trainers or boots that can get muddy! On our first day back we spent the morning revisiting what makes a good recount text and writing our own about our Christmas Day.